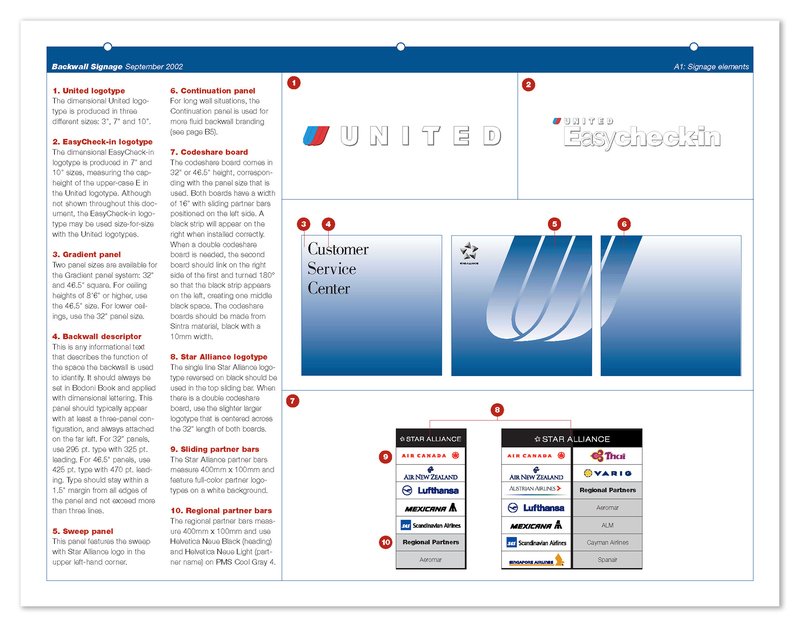 When I landed my first job in NYC at Pentagram Design in 2001, it was to help design and write the brand guidelines for United Airlines. 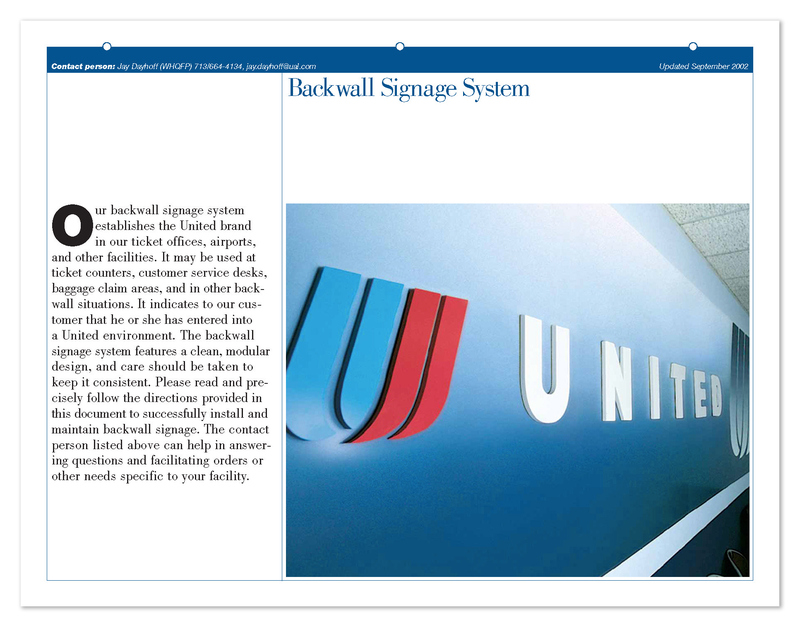 This book guided all visual expressions, including backwall signage that appears behind any possible length of check-in counters at airports. 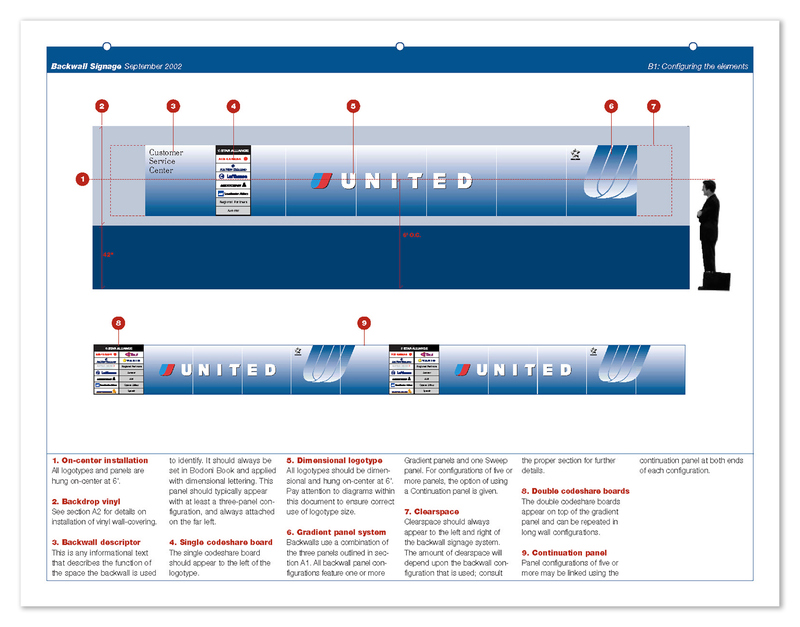 Creative direction by Michael Bierut and Brett Traylor.